To say our trip to Viridian Forest was a success would be a stretch. We did manage to get up Mt. 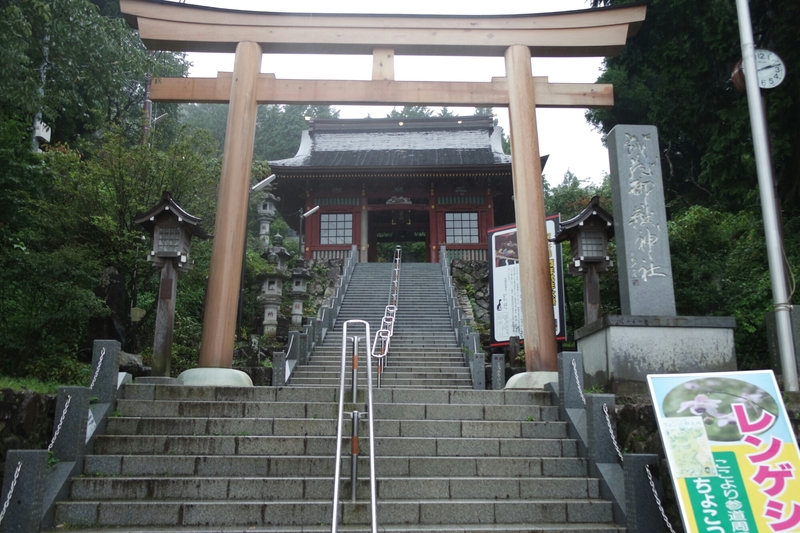 Mitake, within the Chichibu-Tama National Park area, but sadly we didn’t get much else done. 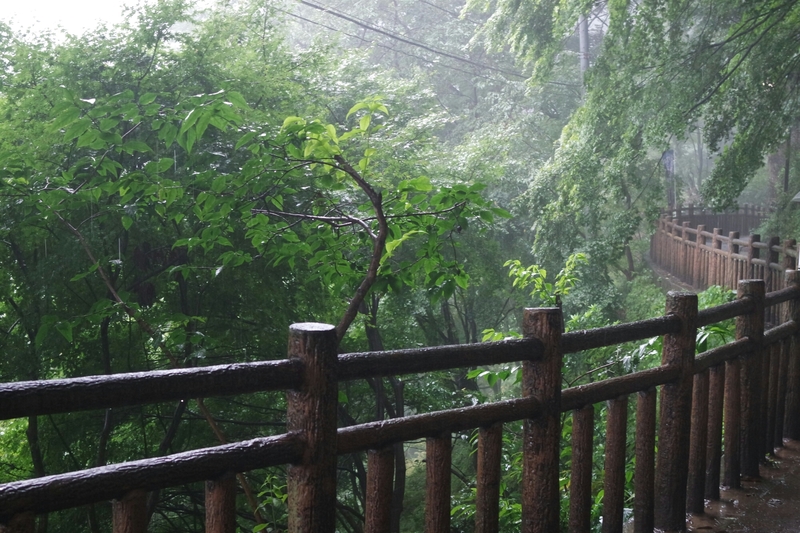 It seemed Kyogre was awakened today and thud the torrential downpour effectively washed us back down the mountain again. It was disappointing sure, but it hasn’t detracted from how intense the area appears to be. 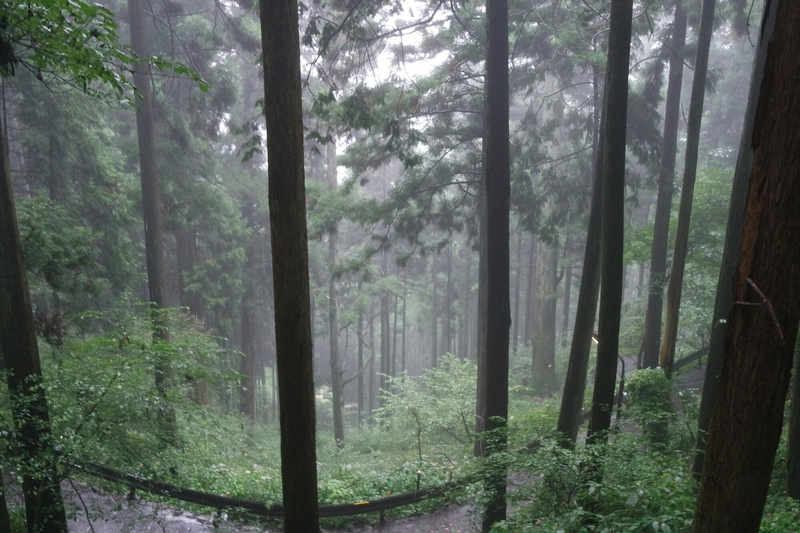 Said to be the least visited of Japan’s national pakrs, the terrain is steep and covered in dense woodland. 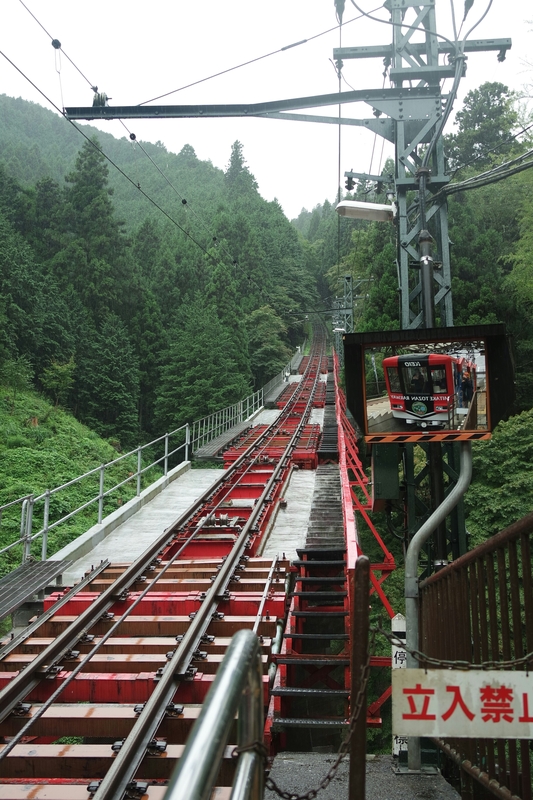 Our bus driver drove manual up the high inclines, taking us from Mitake Station to the Mitake Tozan cablecar railway. This took us up even steeper heights until we reached an area close to the summit. Unfortunately it was far to gray a day to see the landscapes, and I’m sure they would have been impressive. 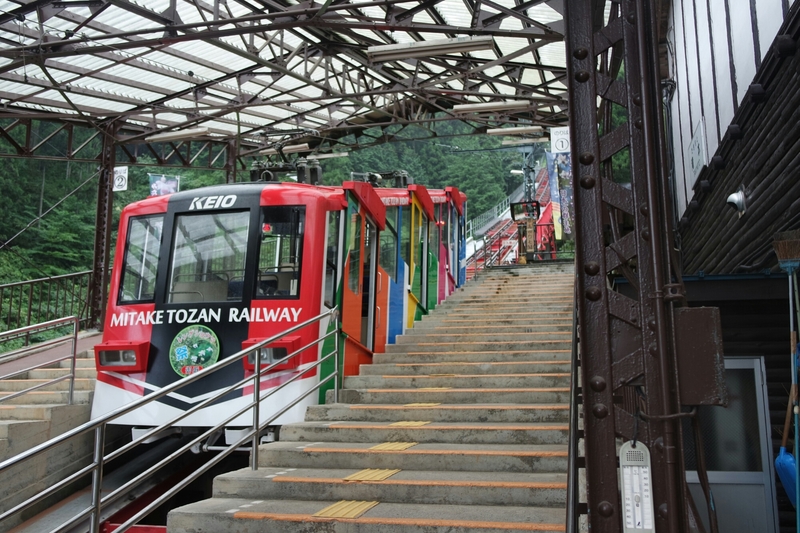 (I believe you get a good look of Tokyo from the observation deck here, though only a photograph of the supposed view told us this fact). 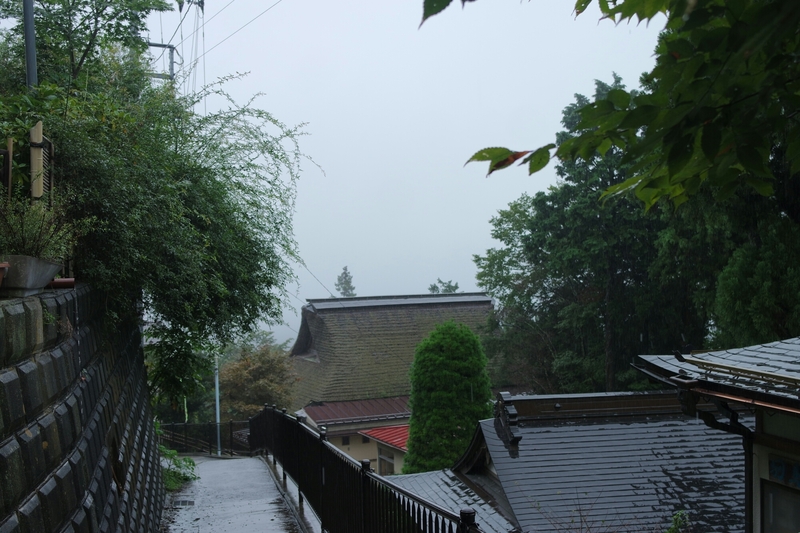 We then proceeded to make the 25 minute walk to the Musashi Mitake shrine before we were totally drenched and had to turn back. Had the weather been nicer we would have taken the route towards Mt. 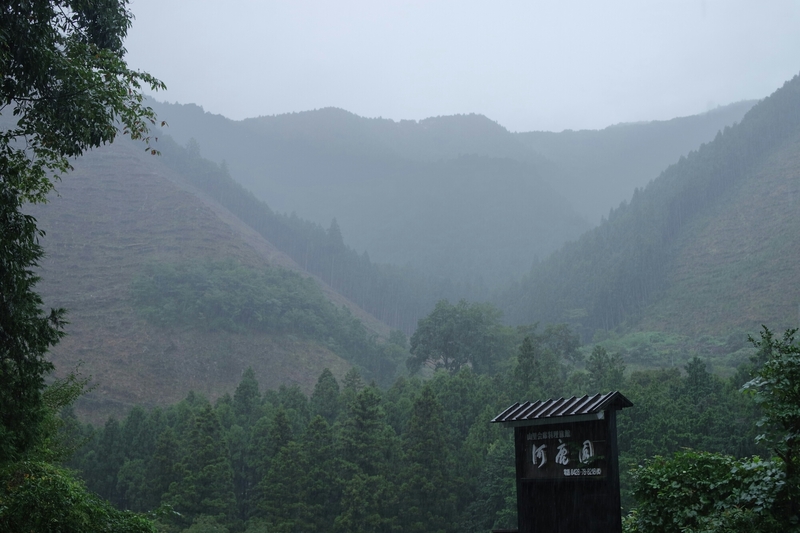 Hinode before walking back down past the Mitake Gorge to a train station further down the line. Sadly it was not meant to be… the Viridian Forest defeated us… kind of. Nevertheless the walk to the shrine felt was well paved and took us through a small mountain top town which kind of detracts from the whole, first dungeon of the game vibe, but with many popular hiking trails around the area we’ve no doubt the dense forest would have felt all the more close had we ventured further. The one thing we know from today, we’d like to come back on a clearer day. But is it like the Viridian Forest? Put it this way, it’s not the type of forest I’d like to get lost in, this place is tough! 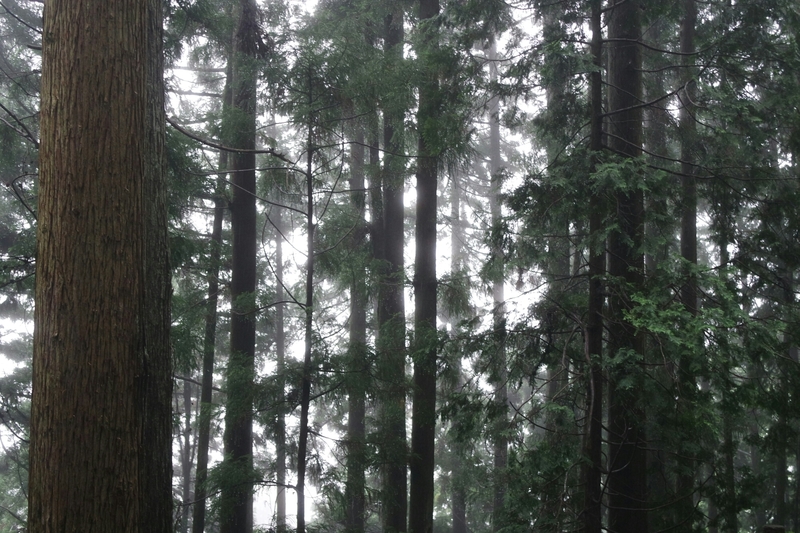 But it certainly is a very distinctive forest indeed. Check in tomorrow as we travel to Machida, the place where the creator of Pokèmon, Satoshi Tajiri, was born.